Even the largest operations need a walk-behind mower on hand to do work in confined spaces and around obstacles that block larger machines, but most small models are residential mowers that can’t handle commercial demands. 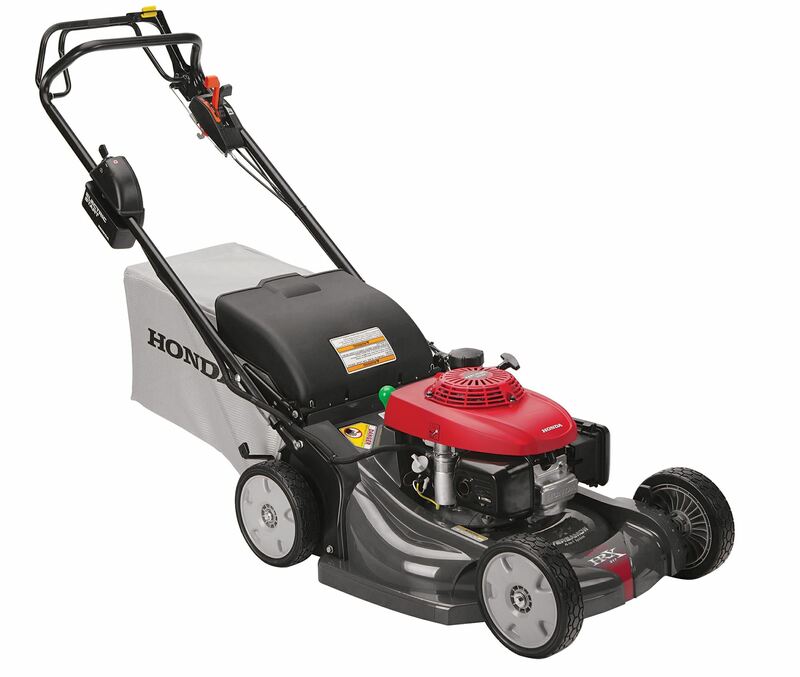 Honda’s HRC professional mowers are built for this niche, offering professional-quality components in a small walk-behind package. All versions of the HRC use a 21-inch deck stamped from 16 gauge steel with an integrated front bumper and edge guards. This deck is supported by 9-inch wheels made out of NeXite, the same super strong plastic Honda uses to make decks for some of their residential mowers. These wheels ride on sealed ball bearings, so they roll easy and require no maintenance. The deck can be used for rear discharge, bagging or mulching. Honda’s MicroCut design uses a high lift blade and a flat blade stacked on top of each other. 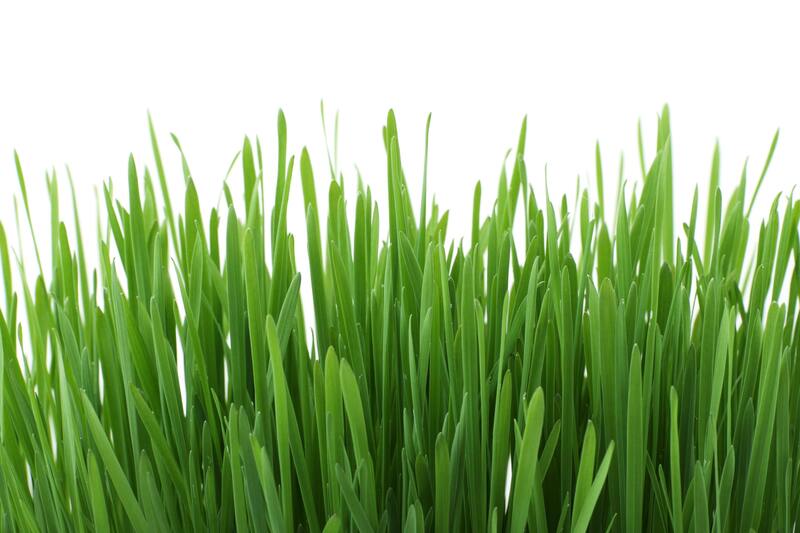 With each pass, these blades cut twice, leaving behind smaller clippings, reducing grass volume by up to 30% and preventing clumping on wet grass. The onboard bag holds up to 2.5 bushels of clippings, and the deck has 8 cutting heights ranging from ¾ inch to 4 inches. There are two engines available in these mowers: the GSV160 and the GXV160. The GSV160 is an overhead cam design based on Honda’s residential GCV engines, but it uses upgraded components to handle commercial duty. This includes a cast iron cylinder liner, stronger crankshaft bearings, and a two-stage air cleaner. It still retains the low noise, low vibrations and easy starting of the GCV. This engine is only available with the HRX216PDA. The HDA and HXA are both powered by the GXV160. The GX line of overhead valve commercial engines are renowned for their reliability and have become the de facto standard for professional small engine equipment. Like the GSV, it has a dual element air filter. Both engines are fitted with a manual fuel shutoff to prevent carburetor flooding during transit. The fold-down handle is made from one-inch tubing, giving it strength and providing a wide grip area that reduces hand fatigue. The grip area is angled to limit wrist tension, and the hand controls use sealed, adjustable cables that require no maintenance and won’t turn rusty while in storage. The PDA is a push mower, while the HDA and HXA use a hydrostatic transmission. This unit is as small as a conventional geared transmission, but it delivers the same infinite speed adjustment of its larger counterparts. The cruise control function lets you set a speed, then return to it by squeezing the bail, even if you’ve had to shut off the engine. The transmission connects to the crankshaft using a shaft drive, so there are no belts to change. The HRC216HXA also comes with Roto-Stop. Instead of mounting the blades directly onto the crankshaft, they’re engaged using a clutch. The blades can be stopped for safety when moving away from the mower without stopping the engine. That means you won’t need to restart the engine after moving debris or branches. Both engines offered in the HRC line have a two-year warranty, while the rest of the mower is covered for one year of commercial use or two years of residential use. As a certified dealer for Honda Engines and Honda Power Equipment, www.hondalawnparts.com can ship anything you need for your HRC mower to any address in the U.S. or Canada. Finding what you need it easy: just pick your model and serial number, and our search engine will show you factory parts diagrams and descriptions. The Honda HRX is arguably the best residential walk behind mower on the market, but like any outdoor equipment, it won’t last if it isn’t cared for. 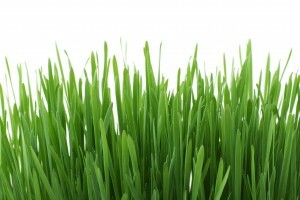 Here’s what you need to do to keep your mower working for years to come. 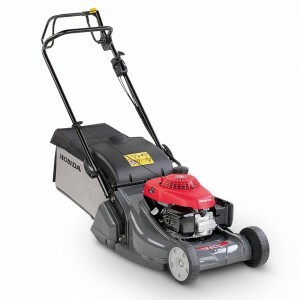 Before each use: Check the blades, rear shield, blade control, grass bag, blade, oil and air filter. After the first 5 hours of use: Change the oil. After the first 25 hours of use: Clean the air filter and adjust the blade control cable and drive clutch cable. Every 50 hours or 6 months: Change the oil and clean the air filter. Every 100 hours or year: Check the spark plug, clean the spark arrester (if equipped), and check all cable adjustments. Every 150 hours or two years: Replace the air filter and spark plug and grease the rear wheel adjuster bushings. Honda also recommends having the engine professionally serviced every year or 100 hours. The mechanic will check the valve clearance, idle speed and general condition of the mower. The blades on these mowers can be handled like any other mower blade. They should be as sharp as a butter knife, and they should be replaced if the edges are worn, bent or cracked. To access the blades, disconnect the spark plug cap and turn the fuel valve to “OFF,” then tilt the mower on its right side. Make sure the fuel cap is near the top of the mower. When installing the blades, the curved ends of the lower blade should match up with the angled edges of the upper blade. When installing the blade bolts, the outer edge of the curved washers should face the blades. Torque the bolts to 36-43 ft-lbs. Honda recommends 5W-30 or 10W-30 for normal operating temperatures, while SAE 30 can be used at temperatures above 50°F. The engine holds 12-13.5 oz of oil, or about a third of a quart. The engine does not have a drain plug. To drain the oil, either use a siphon pump, or tilt the mower on its side so that the oil flows out of the filler neck into a container for recycling. To access the filter, push down on the tabs on the air filter cover, then swing the cover downward. To clean the filter, tap it against a hard surface or blow it out with compresses air. Limit the air pressure to 30 psi. The electrode gap should be between 0.028 and 0.031 inches, or 0.7 to 0.8 mm. It can be removed and installed with a 13/16 inch spark plug wrench. When reinstalling a plug, thread it in by hand before using the wrench. Once the plug seats, turn it 1/8 to ¼ turn if it’s a used plug, or ½ turn if you’re installing a new plug. The plug should be torqued to 14 ft-lbs. To access the arrester, remove the three flange bolts on the muffler cover, then remove the set screw holding the arrester inside the exhaust outlet. Clean the arrester with a wire brush. If it has holes or other damage, it should be replaced. If you don’t have a spark arrester, one can be added to comply with local fire regulations. The battery is normally charged by the engine electrical system, but it may need to be recharged after the mower has been in storage. This battery should only be charged with a Honda battery charger. Using an automotive charger will damage the battery. 1. Remove the three screws on the battery cover, located on the side of the box that houses the starter switch. 2. Slide the battery out of the box, then disconnect the wires on the battery terminals. 3. Connect the charger to the terminals, then plug the charger into a 120 volt outlet. 4. Let the battery charge for 8-24 hours. Charging for longer will damage the battery. 6. Connect the wires to the battery terminals. 7. Place the battery into the case with the terminals facing the handle. Route the wires so that they go across the top of the battery. 8. Reinstall the battery cover. 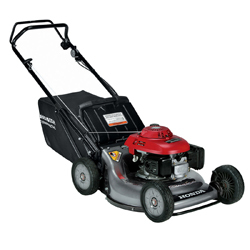 Hondalawnparts.com is a certified Honda Engines and Power Equipment dealer, which means we can ship the OEM parts you need to maintain your HRX mower straight to your door. Select your model and serial number, and our site will show you parts that will fit your specific mower, complete with factory descriptions and exploded parts diagrams. We ship to both the U.S. and Canada.